Platinum Dunes’ A Nightmare on Elm Street has its share of deleted material. The film’s Blu-ray release includes an alternate opening and ending, and one brief deleted scene. 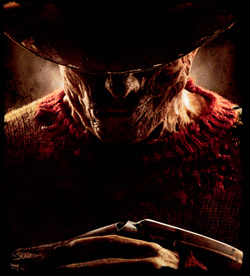 More alternate or deleted footage can be seen in the Blu-ray’s Maniacal Movie Mode features and “Freddy Krueger Reborn” special. It is not known why the footage shown during these special features was not included as separate scenes under the Blu-ray’s deleted scenes section. Additional footage of Freddy killing one of the Elm Street parents in a bedroom dream sequence and an alternate ending of Freddy bursting from a sleeping Quentin can be seen in the Maniacal Movie Mode features. Both scenes were covered in our exclusive set visit.